Love it (as I do) or hate it (a much larger camp), the PGA Show is a new year’s rite in the golf industry. Everyone crowds into a few blocks of Orlando that is ill-equipped for the traffic to exchange business cards and handshakes and try to position themselves for a successful 2018. After 20 miles of walking at Demo Day and on the convention floor, Matt Meeker and I bring you our 10 takeaways plus a few “Best Of Show” products. *Like half the new products at the show, this recap contains graphene and is, therefore, awesome. File under “Things that will surprise no one”: TaylorMade and Callaway were unquestionably the 800 lb gorillas of this show. Both companies unveiled new top-to-bottom lineups that look as strong as ever. For Callaway, Rogue is the centerpiece. They’ve incorporated their Jailbreak technology from the Epic drivers into Rogue drivers, fairway woods, and hybrids. The name also continues into the irons with three new models: Rogue, Rogue Pro, and Rogue X. More interested in the short game? There’s a huge selection of MD4 wedges with different grinds and finishes. Odyssey is on trend with a wealth of toe-hang mallets. Finally, their immensely successful Chrome Soft and Chrome Soft X golf balls have been relaunched with a new graphene core. TaylorMade’s 2018 will focus on Twist Face (a driver technology that demo day patrons were waiting four hours to hit). We’ll bring you more details in the coming reviews, but this driver face technology promises to bring golfers Straight Distance. Like Callaway’s Rogue, the M3 and M4 line-ups run from the driver through the irons. TaylorMade is also building on the success of the Spider putter with a variety of neck and alignment aid options. For players seeking more traditional putters, the TP line will expand to include a new dark finish. One of their most-hyped releases is the Hi Toe wedge seen in the bags of Tour pros like Dustin Johnson. Finally, TaylorMade is revamping their ball line up. The TP5 and TP5X will remain, but the Project a is getting a makeover with a seamless construction and new core. Joining that trio is Project s, a $25/dozen ball aimed at recreational players. PING didn’t release a head-to-toe reboot, but their new clubs are tremendously impressive. The G400 Max driver pushes their industry-leading forgiveness to even higher levels, and the G700 iron looks to take on the best distance irons in golf. They also unveiled the Glide 2.0 Stealth wedges which boast a new finish and a new groove. Finally, the Vault 2.0 putters bring adjustable weights and a number of grip choices to putter heads both classic and modern. Wilson Staff had a huge presence throughout the show. Their C300 line received high marks at Demo Day and as did their DUO Soft golf balls. Cleveland, Srixon, and XXIO didn’t release new clubs at the show, but they did have some big news. Ernie Els will be joining their Tour staff in 2018, playing clubs from each of the three brands. Tour Edge showed their continued desire to serve all golfers. For the stronger players, the CBX line has expanded to include fairway woods, hybrids, and iron-woods. 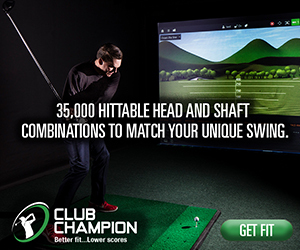 Even more interesting is their new HL3 line, targeted at the golfer who hasn’t been fit yet. Thanks to an elegantly simple fitting cart, golfers can visit their local pro or fitter, get fit into HL3 clubs, and the custom clubs will ship out in 48 hours or less. All this is being offered at a price that’s lower than most off-the-rack OEM clubs. After numerous years as co-champions for Best Booth (along with Edel), Seamus grabbed the title for themselves in 2018. It was a no contest decision since Edel left the show floor, but Seamus’s booth showed that this company will not stop innovating. Headcovers made from basketball leather? Why not. Hand-painted covers? Absolutely. In addition to the new styles, we also got a sneak peek at the gear that will be available at the 2018 US Open at Shinnecock. Check the slideshow at the bottom of the post to see all the pics. As if that wasn’t enough, Seamus also threw a phenomenal event at Winter Park that shows how much this group gets it. Rather than playing at a fancy “name” course, they went with the place that’s a model for municipal golf. No scoring format, no attempt at formality, just a bunch of like-minded lovers of the game having a blast. Golf is better because of Seamus and their influence on the industry. I cannot explain it, but not only won’t things like GolfBoard die, they’re breeding more imitators every year. This year, Demo Day had an entire track for racing around on skateboards, motorcycles, ATVs, and bikes, all decked out to hold a golf bag. My sincere question to all readers: have you ever seen anyone using one of these on the course? Would you use one? I love disruption as much as the next millennial, but the golf cart is perfect. Stop trying to build a better mouse trap. After a couple years of outright dominance by Arccos, GAME GOLF and Shot Scope came to the show with new products that could be legitimate contenders. GAME GOLF Pro removes the major problem that it’s always had: the need to tag each shot. Thanks to new hardware, you don’t need to tag and you don’t need to bring your phone on the course. Shot Scope V2 made a similarly large upgrade by turning the watch into a GPS. Look for reviews of both new systems later this year. The putting greens at Demo Day were depressingly empty, and the show saw only a handful of putter makers. However, those that were there were impressive. Newcomer Flux Golf displayed a face technology designed to promote topspin in a headshape that’s decidedly old school. SIK Golf and Argolf showed off some new models and hinted at collaborations that may be appearing on your TV screen this year. Every year we comment to each other that the floor space for apparel is shockingly large. The variety of styles seems endless and the offerings extend far beyond shorts and polos. Brands have figured out that men don’t like shopping malls and are more than happy to complete their wardrobe at their pro-shops. A great example is Oxford who, in addition to their core golf pieces, have wonderful button downs, casual outerwear, and a variety of leather shoes. Fabric technology continues to improve. Polyesters feel like fine cotton, sweat doesn’t equate to stink, and irons (the kind for your clothes) may become extinct. Adidas and Callaway both unveiled fabrics that disperse moisture in a way that truly ‘no one will see you sweat’. Notably absent was Nike – again. Obviously they don’t lack brand recognition, but fundamentally, the show is about business, which leaves us scratching our heads. On the flip side Adidas had the largest booth, with wonderful displays setting the stage for their distinct collections: Adipure, Adicross, and Adiperformance. And speaking of collections, Oakley displayed their new Bubba Capsule – limited edition pieces that Bubba will be wearing in all the majors this season. Footjoy went with a more sophisticated looking booth this year even though their new Tour S is as modern as they come. To keep out the riff raff, G/FORE had an elusive entrance to view their stylish offerings. But neither topped the secret room at Puma where only three people had a key, photos were forbidden, and inside held displays of special releases for the year. The popularity of Skechers continues to grow based on the much larger booth size, and the V.3 models look fantastic across the board. The long standing favorite BIOM Hybrid from ECCO has been freshened up for 2018 and the brand continues to push the boundaries of technology, quality and comfort. In step with their apparel categories, Adidas offers a full range of golf shoes – from pure performance cleated models to less aggressive soles in styles that won’t look out of place in the local pub. Top Golf may be the hottest thing in golf, but you can’t have one in every town…or can you? TopTracer Range aims to turn your local driving range into a Top Golf with each hitting station having their own screen for simulated rounds, Top Golf-style competitions, or launch monitor data gathering. Look for these to start popping up nationwide in 2018. Measuring putting was one of the tech focuses of the show. Launch monitor heavyweights Foresight and Trackman debuted their new technology, and both looked impressive. For the everyday golfer, there are plenty of new options, too. Blast Motion teamed up with TaylorMade to create a Spider with the Blast Motion sensor built in. BioMech Golf also unveiled their sensor that measures your stroke with biomedical-grade accuracy. CRU didn’t have a booth at the show this year, but their forthcoming leather carry bag was on display at the 18Birdies booth. I love old school gear like this, especially when it’s made with enough quality to last a lifetime, as I expect these will be. The only problem will be deciding how to customize it. This towel lands the #2 spot purely for the enormous belly laugh it gave me on Friday when I saw it. It’s not available yet on the Uther website, but the minute it is, I will have one on my bag. TRUE’s relaunch this past year was a huge success, and they’re building on that with a new mesh shoe for 2018. Now you’ll be able to #EnjoyTheWalk in all weather. There wasn’t much in the booth of this new company – just a half-revealed putter and four headcovers. However, the covers were so hot that some sleaze stole one. Hard to blame him though, Andrew Jackson in shades is fire. Did Srixon give any clue when new irons might be out? I’m very close to getting a set this spring but would be upset if new ones come out later in the summer. I didn’t hear anything about it at the show. My best guess is that they’ll have new irons in the fall. Excited for the new Game Golf Pro. I’ve been using Game Golf since 2015, beginning with the original device and then Game Golf Live. I’ve really enjoyed using Game Golf and never had any problems with the tagging, but understand the frustration that many had. 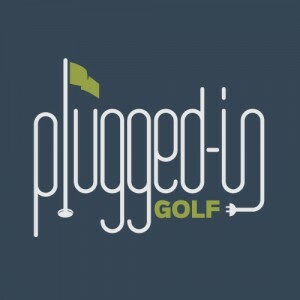 However, I’ve been feeling let down by Game Golf over the past year as we’ve seen Arccos add refreshed tags, updated and new features, plus a partnership with Microsoft. 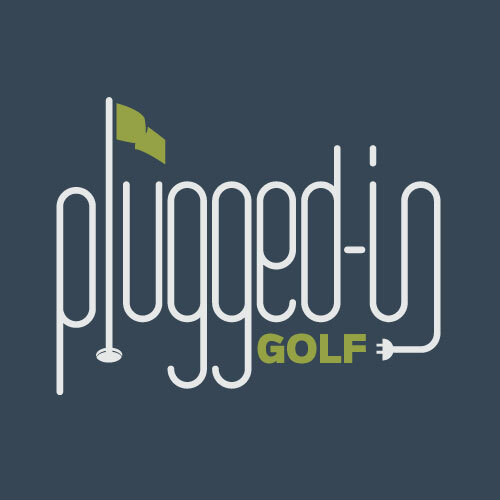 Up until announcing the release of Game Golf Pro, all they’ve done is tease a grip from Golf Pride that never went to market, and made a few minor updates to the “Insights” section featured on their website and on the app. I’m very excited for the potential that Game Golf Pro brings with it and I even signed up for Beta Testing (hope I actually get selected). I definitely plan to upgrade to the new system when it drops.